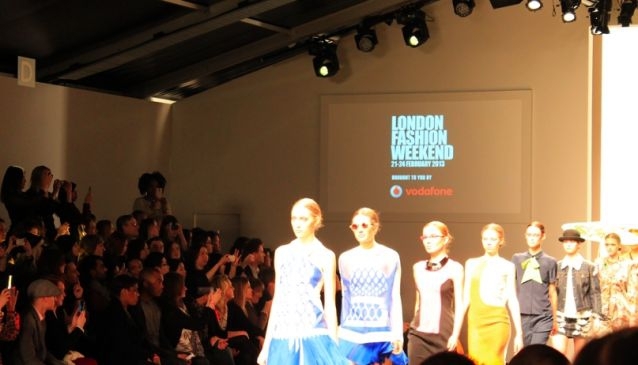 London Fashion Week is held twice a year in February and September and is one of the big four fashion events around the world. The other three are New York, Milan and Paris. All of the other shows have always been exclusively under lock and key unless you are a member of the press, a buyer or designer. 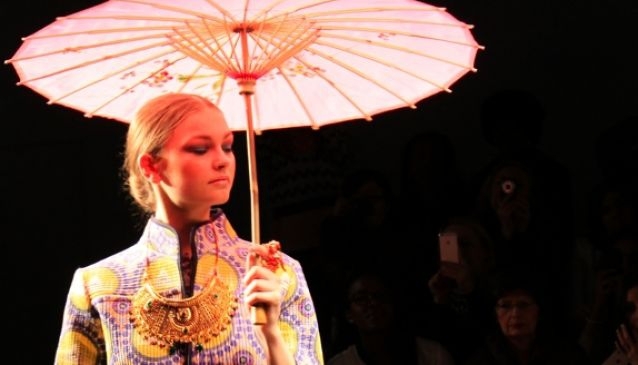 However, London Fashion Week, renowned for doing things differently, allows everyone a chance to attend the shows. Hours after the cobblestones are swept clear of the celebrities and paparazzi, London Fashion Weekend begins. 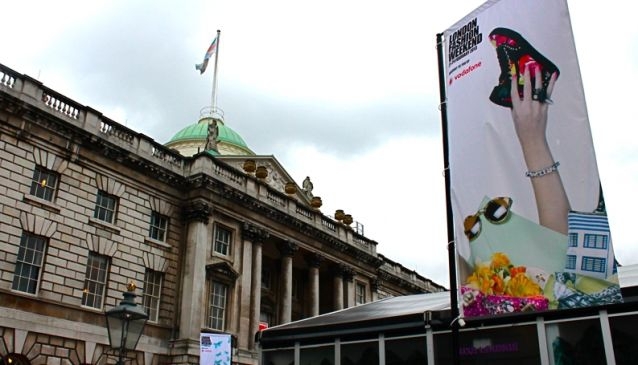 The first thing on your list of things to do at London Fashion Weekend is to see Somerset House. Given that the event is situated inside the riverside venue, this one shouldn’t be too hard to do. However, on arrival make sure that you take in the spectacular backdrop, the domed roof, Union Jack flags and majestic building in its full beauty, before heading inside. The majority of the action takes place in the official show space in the courtyard. But watch out for the cobbled pavements outside, although they look great in photographs, high heels are not the best choice even if they do go perfectly with your outfit. If the weather is pleasant then ensure you go out on to the second-floor balcony that overlooks the River Thames and provides spectacular views of the London Eye and beyond. Whilst you are wandering around make sure you get yourself street-style snapped for a fashion blog. It is worth mentioning that whilst you are at the show you will be able to grab food and refreshments if you feel inclined. Although, be warned, the prices are even higher than normal London prices; a real pinch for even a designer pocket. Luckily there are also a lot of free products being handed out. This includes healthy popcorn from a traditional popcorn style vendor and samples of diet coke served by the deliciously ‘hunky’ star of their new TV advert. You will feel like you are being treated as a VIP with all these products being thrown at you! 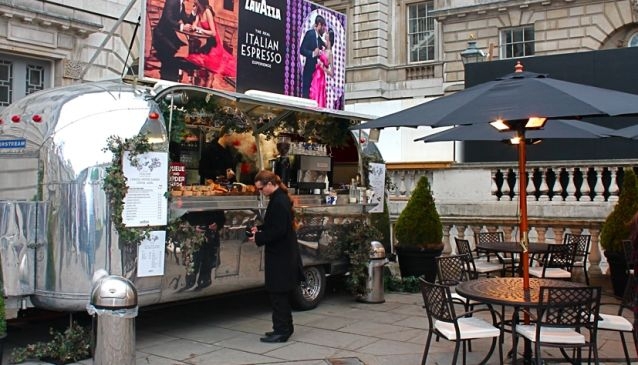 As well as this, Lavazza Espresso host their American-style caravan in the courtyard serving coffees, sandwiches and other snacks all day long. Once you have filled up on tasty fuel then head inside Somerset House to stock up on next seasons’ wardrobe. 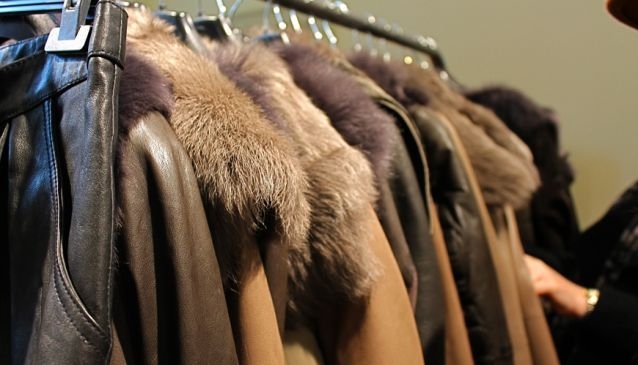 Hundreds of designer labels are on sale, all at half the price, exclusively for London Fashion Weekend customers. This is the perfect excuse to splash your well-earned money on big names that may normally be out of your price range. These include designers such as Levis’ Jeans who have a whole pop-up shop and personal tailors on standby to custom-make your favourite jeans. There is also House of Harlow by Nicole Richie, DKNY, J.W Anderson who recently launched a line for Topshop, Cambridge Satchel Company, Pringle and Twenty8Twelve by Sienna Miller. Once you have fully replenished your spring/summer wardrobe then run on over to the British Fashion Council show space and discover what you will be lusting after come autumn. It is worth noting that this is the exact same space used by the industry elite to watch the catwalk shows the day before. These designer shows are not a second-rate alternative to the previous ones, they are put on by big names such as Holly Fulton, Roksanda Ilincic and David Koma who design for the most famous faces in London. Make sure you have your camera on standby here to catch a glimpse of the best new trends to hit the runway. If you want to guarantee yourself a seat in the Front Row (the only place to be seen in the fashion pack) then make sure you queue half an hour before your show is designated to begin. If you do not see yourself as a real high-end designer lover then fear not, London Fashion Weekend has something for you too. Instead of opting for a designer lead show then go to the Trend presentations instead. These shows are hosted in the same official space with a catwalk and all of the glamour but focus on emerging trends rather than individual designers. This is an element that the real London Fashion Week is missing and would make the lives of the fashion journalist a lot easier if they had access to such shows! The trend shows cover four or five different themes and use clothes straight from the high street mixed with some more luxurious brands. This includes Topshop and Whistles. Whilst you are watching the catwalk shows make sure you check out the celebrity presenters who make an appearance. The overall presenters for the weekend are Zoe Hardman, Jade Parfitt and Antonia O’Brien. Zoe Hardman has presented LFW for the past three seasons and has a history of TV presenting experience. Whilst Jade and Antonia are both new to the set this year they also have an unrivaled depth of experience in the modeling and fashion industries. However the star that outshines the rest is undoubtedly Hilary Alexander, a true member of fashion royalty. Hilary has written for the Telegraph newspaper and is responsible for compiling all of the outfits that you see in the shows. With her knack for predicting trends before the rest it is worth giving her an ear for some fashion advice! 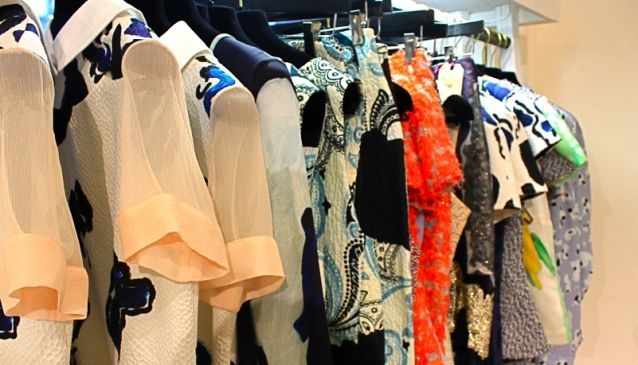 Whilst London Fashion Weekend is the most exclusive designer shopping experience in Europe, they also have a great section dedicated to up-and-coming designers. These fresh faces are graduates just out of a London design school and are looking to promote their clothes to fashion leaders. Their pieces are also sold at heavily reduced prices and are a great way to update your wardrobe, fresh in the knowledge that your piece is unique and undiscovered. Who knows, in ten years time that may be worth a fortune on ebay as the designer reaches their peak. This is the perfect way to support British designers and locally sourced products, rather than always the high street and household names. Once you are fully exhausted from all the shopping do not forget to head for a quick pampering session inside the west wing of Somerset House. The world famous Toni & Guy have set up a hairdressing boutique, complete with all the tools they need to get you looking your fashionable best again. If you are feeling brave then opt for a bold new haircut under the guidance of industry professionals or just get a catwalk-worthy look to treat yourself. Whilst back in the show space Elizabeth Arden have also set up a stall with all of their products. Elizabeth Arden are responsible for all of the make-up looks in the catwalk shows so get yourself a look to rival the best in the modeling world. Finally there is a Benefit ‘Brow’ bar if you feel that your eyebrows are in need of some serious care and attention. 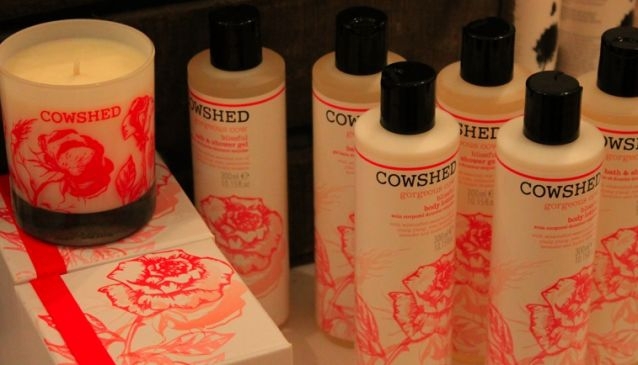 All around Somerset House there are other beauty products on sale with massive discounts such as Cowshed and MAC.